A screengrab of today’s livestream presentation. Disney’s entire “Signature Collection” of its classic animated movies (including Cinderella, The Little Mermaid, Snow White and the Seven Dwarves, and Beauty and the Beast) will be available on the first day of the launch, along with all of Pixar’s theatrical shorts; all of Pixar’s features will hit Disney+ within its first year. New content will include a documentary series charting the making of Frozen 2, going behind the scenes of the animated sequel (which hits theaters in November). There will also be a new shorts series from Pixar, Forky Asks a Question, starring a new character that will debut in Toy Story 4 (out June 21), and fan-favorite Toy Story character Bo Peep will also get her own short, titled Lamp Life. 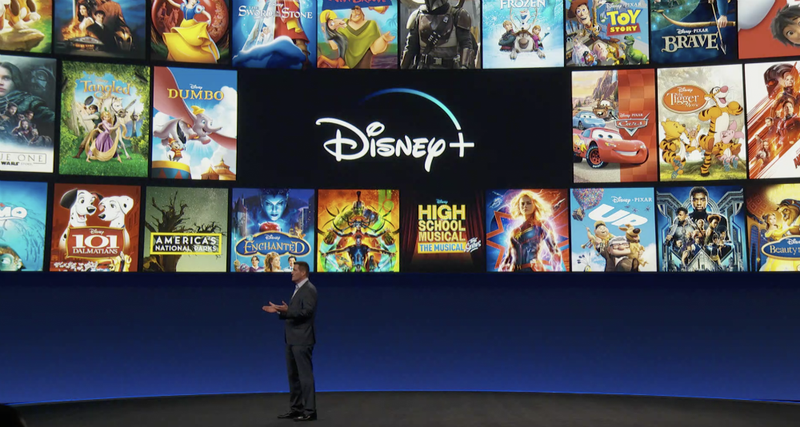 Live-action Disney films heading straight to Disney+ include a pair of previously-announced films: Noelle, a variation on the “Santa Claus in the real world” genre starring Anna Kendrick as Kris Kringle’s daughter; and the live-action Lady and the Tramp, with a voice cast that includes Tessa Thomson and Justin Theroux, which will be available when Disney+ launches.